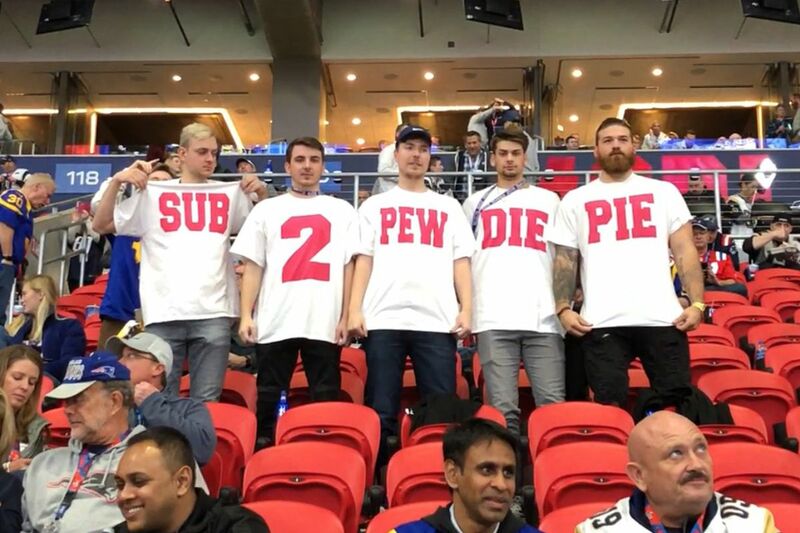 The battle of most subscribers on YouTube between Youtuber PewDiePie and T-series made it to Super Bowl on Sunday, where a fellow Youtuber supported Swedish vlogger. There has been a tussle going on between Indian music channel T-series and PewDiePie from a few months, where T-series is expected to cross him and become the most subscribed channel on YouTube. 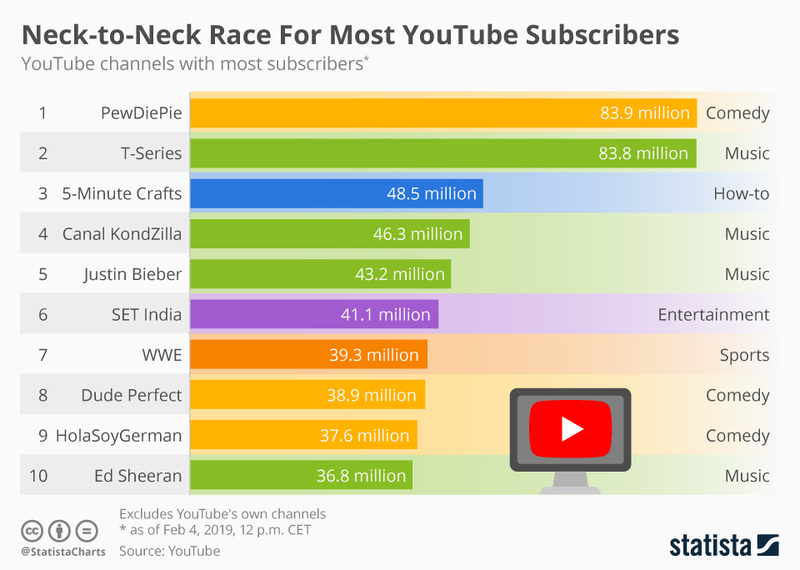 So far PewDiePie has been on top of the list, despite the predictions that T-series will cross him. A fellow vlogger, Jimmy Donaldson who has a YouTube channel, Mr Beast showed support for PewDiePie by raising shirts that asked to subscribe PewDiePie. Donaldson himself has 14.5 million subscribers on YouTube. This is not the first time that Mr Beast is favoring PewDiePie. Earlier he ran ads on radio and billboards to increase his fellow’s subscription. Also, he held a 12-hour long live streaming in support of PewDiePie, in which he said the name “PewDiePie” 100,000 times. There are other YouTubers as well who have been standing with PewDiePie, like Logan Paul who said he would donate to charity if people would follow him to stay on top. Currently, PewDiepIe has 83.9 million subscribers, whereas T-series is close enough with 83.8 million subscribers.